LemnaTec exclusively licences Phenoseeder from Forschungszentrum Jülich. Plant growth starts with a seed, and seeds frequently are the core of the harvest. Concise information on seeds is key in plant breeding, research, and gene bank curation. 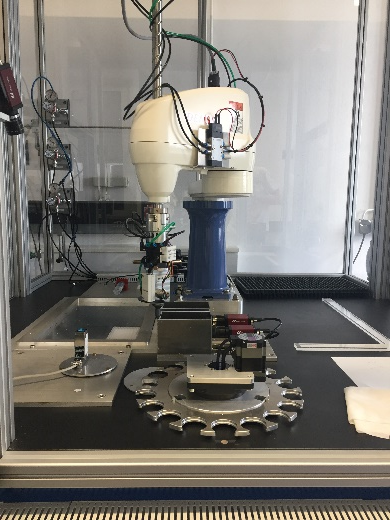 The Phenoseeder, a system for seed imaging, weighing and precision seeding enables individual seed characterisation and linking seed data to plant data. Phenoseeder automatically provides seed dimensions, volume and weight for individual seeds. Such important single-seed data have not been available earlier, as manual measurements are laborious. They improve the quality of phenotyping experiments by enlarging knowledge about the used seeds and finally help to explain the phenotypes of the growing plants. In breeding, early steps rely on single seeds, e.g. resulting from crossing, mutagenizing or gene editing, that set the foundation of the newly developed cultivars. Thus, seed data are decisive in selection process. With licencing and commercialising the Phenoseeder we address seed research and breeding and provide a valuable add-on for phenotyping experiments and germination testing.